Scarborough in North Yorkshire was the venue for this years British Sprint Champs, with the middle champs just down the road. Unfortunately I picked up a bad cold after the JK, so my weekends activity was limited to 'jogging' around the sprint and watching the middle race. 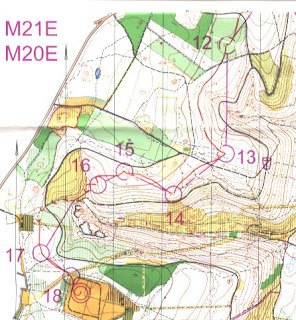 The sprint race was really good, with a top new map made by Neil Northrop. 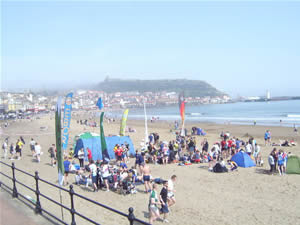 The qualifier took us to the north of Scarborough, up and down a steep open slope, then back through town to the finish and assembly on the beach. 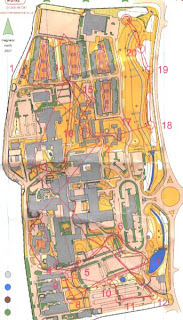 The final started near the assembly, started in some intricate gardens before taking us into a really detailed parkland on a really steep slope. 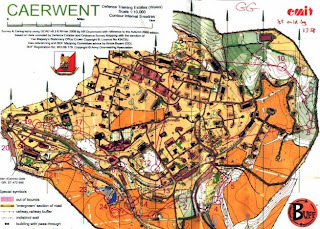 There were some good route choices and some really tough orienteering. Scott Fraser won the race, well clear in the end from Oli and the rest of the field. My jogging round qualified me for the final, and then I got a bit excited and while it would be wrong to say that I jogged round the final, I certainly wasn't pushing the speed at all. I tried to just have a clean run and keep up a steady pace. It was actually the kind of race where those tactics pay off, and I came 5th despite making a 30s error. I will put my maps up soon, but results and routegadget are here. Yesterday was the middle, and I decided to sit it out and try and recover. 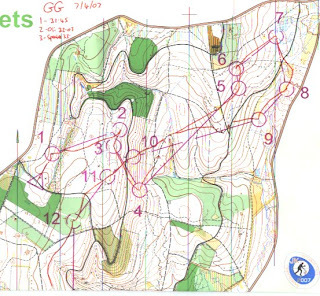 Oli Johnson and Helen Winskill won, and I was reminded of how hard it is to watch a race when you want to be competing. It was a beautiful day though and I did some sunbathing anyway. Today the selections for GB team for lots of things came out. I was pre-selected for the Nordic champs, but I have also been selected for the Ukraine training camp in May and the first World Cup race. I have decided not to go to the World Cup race in Norway, and will rest / train instead. After 5 years running for IL Tyrving, I decided it was time for a change, and as of now, I am running for IFK Lidingö, a Stockholm based club. There is an article about my switch on the IFK Lidingö website here. I am going on a training camp to Stockholm and Finland in May in preparation for Jukola, and I will also spend some time in Sweden later in the summer. I have a history of back problems, and the last few weeks it has been playing up quite a lot. I have been to the physio a couple of times and I have been doing loads of stretches and exercises, but it is a bit worrying at this time of year. This weekend is the JK. Four days and four races. Sprint on Friday, middle on Saturday, classic on Sunday and relay on Monday, this is the biggest event in the British calendar. Last year I managed to win the 3 individual days. This year the aim is to go one better, and take home a relay trophy as well. 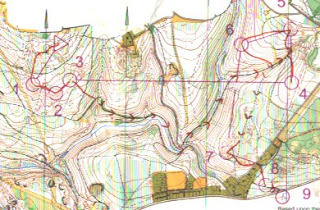 The event is down in the Forest of Dean, which is gorgeous forest with fairly large spurs and re-entrants, with a fair amount of finer detail too. JK website. 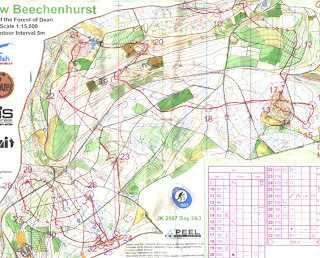 The weekend after is the British Sprint and Middle champs. I am defending the sprint title, and I would like to add the middle title too (it clashed with TIOmila last year). Website here.